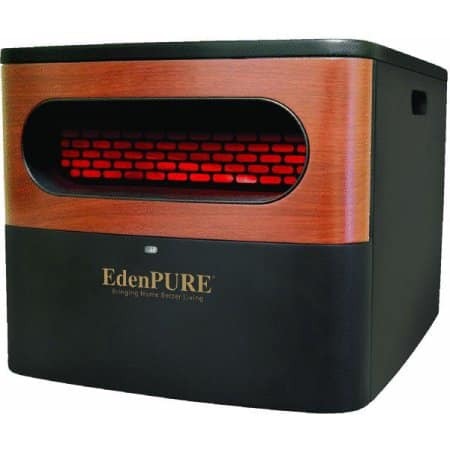 The EdenPure Gen2 A5095 is one of the most affordable infrared heater of its kind. It’s small in stature but not on power. Able to cover up to 1,000 square feet, it can quickly bring a room up to the desired temperature. Call (888) 281-9031 to check availability. 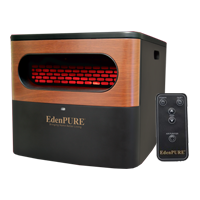 The EdenPure Gen2 A5095 infrared heater is the most affordable infrared heater of its kind. It’s small in stature but not on power. Able to cover up to 1,000 square feet, it can quickly bring a room up to the desired temperature. The reduced size and weight of the Gen2 makes it easy to move and the digital function creates convenience in a unit that will automatically turn on and off. If you should need to repair your EdenPURE Gen2, we carry an inventory of EdenPURE Gen2 A5095 parts. We also provide repair services. Call 800-707-8725 to speak with Paul about his EdenPURE heater repair services.